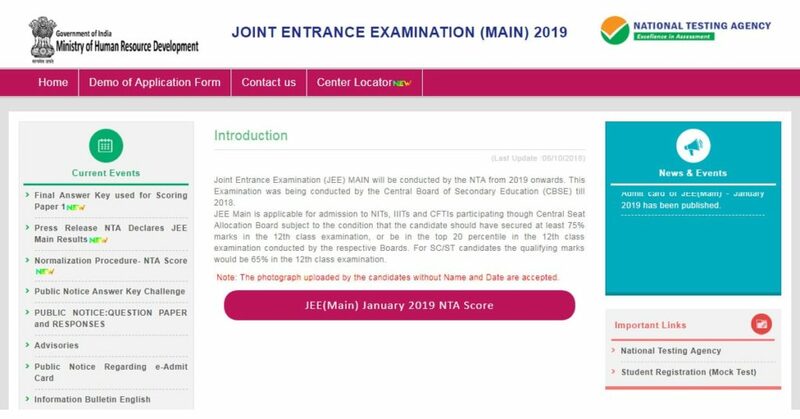 National Testing Agency (NTA) has declared JEE Main Result 2019 for January attempt on its website https://jeemain.nic.in/. The examination was conducted between 8th to 12th January in a span of two shifts every day. As per NTA, a total of 9, 29, 198 candidates had registered for B.E./B.tech paper. The results were released in 19th January which was initially said to be declared on 31st January. It is to be noted that for the first time JEE exam has been conducted in computer-based. And students have a choice to appear in either one or two examinations (Jan and April). 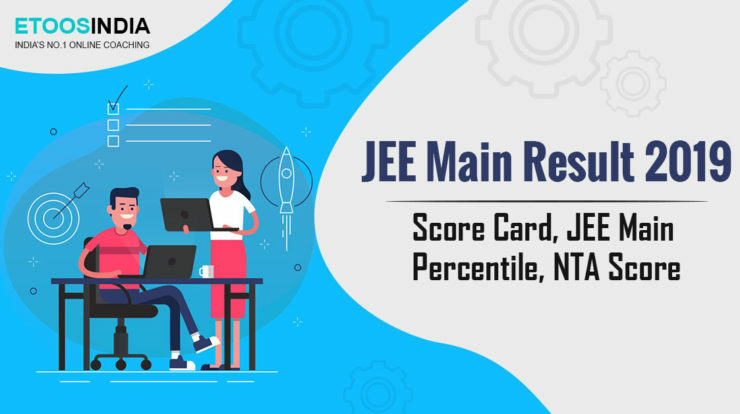 In order to see JEE January Main 2019 NTA score, students need to visit https://jeemain.nic.in/. For all registered candidates, they need to sign in with application number, date of birth, security pin and hit the login button. After successful login, a candidate can see his result. How to Calculate JEE Main Percentile score? The NTA Percentile Score indicates the percentage of candidates that have scored equal to or below that particular Percentile in that examination. Therefore, the topper of each session will be getting the same Percentile of 100 which is desirable. The marks obtained in between the highest and lowest scores are converted to appropriate percentiles. The Percentile score will be the Normalized Score for the exam and not the raw marks of the candidate. Preparation of merit list shall be done based on this score. The NTA Percentile Scores of January will be calculated up to seven decimal places in order to reduce ties and avoid bunching effect. What is NTA JEE Main 2019 Normalization Process? NTA has adopted normalization procedure based on PERCENTILE score for the compilation of JEE results. The engineering exam was conducted on multiple dates in two sessions every day. The candidates were given different sets of question papers per session. It is quite possible that the in spite of maintaining equivalence the difficulty level of question papers may not be exactly the same. This means a student might attempt a tougher set of questions resulting in lower marks and a student might also get relatively easier set of questions resulting in higher marks. To avoid such scenario, normalization procedure based on Percentile score has taken into consideration. With normalization, candidates are neither benefitted nor disadvantaged due to the difficulty level of the exam. NTA ensures that a candidates’ true merit is recognized. 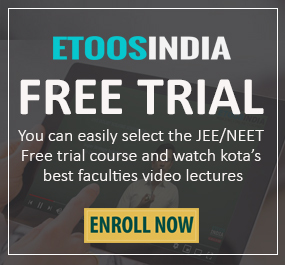 Also read – JEE main NTA Score Calculation 2019 here. To download the result, a registered candidate has to visit the NTA’s official website www.nta.ac.in. When you click on the engineering exam button, it redirects you to the JEE website. 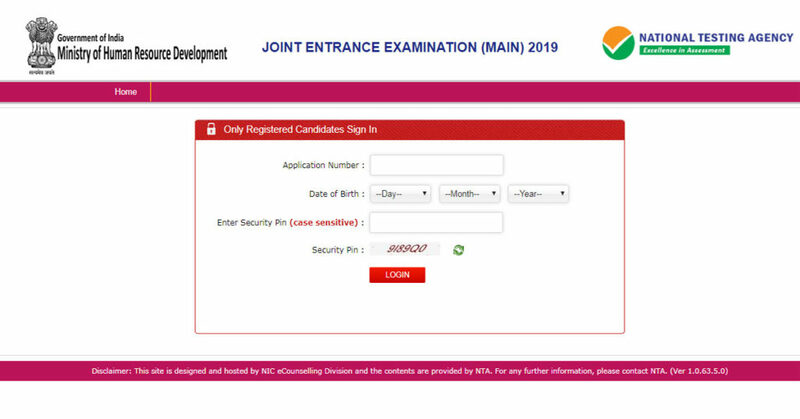 One can easily download the JEE main result 2019 with his/her application number and security pin. It is available in the form of scorecards with NTA score and percentile written. Check out the complete list – JEE MAIN 2019 January Results Declared here. NTA has also released a list of State-wise toppers along with their NTA Scores. JEE Main 2019 Cut off has not been announced yet. After the JEE April Main-2019 exam, the ranks of the candidates will be released taking into consideration the better of the two NTA scores, i.e. January and April attempt. Online submission of application form up to 11.50 pm is 8th February 2019 to 7th March 2019. Date for a successful final transaction of fee via debit/credit/net banking/e-challan is 8th February 2019 to 8th March 2019. Exam date is between 6th April 2019 and 20th April 2019. Result declaration will be on 30th April 2019. To see the entire document, visit NTA JEE Information Bulletin. 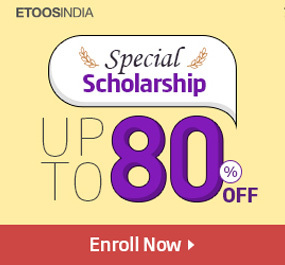 To keep yourself updated with the latest exam info, keep reading this Etoos blog.